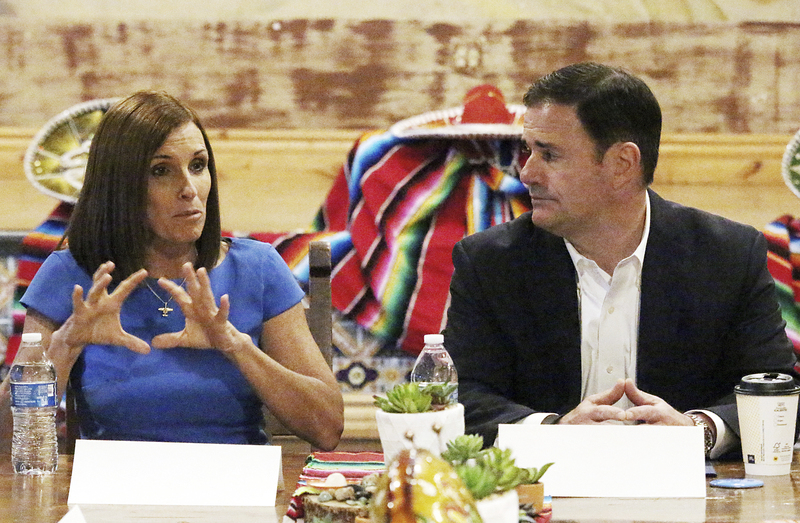 (CN) – Voters filed a federal lawsuit against Arizona Gov. Doug Ducey, claiming he violated the 17th Amendment when he appointed Jon Kyl to former Sen. John McCain’s empty U.S. Senate seat. The lawsuit claims the Constitution requires Senate vacancies to be filled by the winner of a special election. Kyl, a former Senator was appointed to the seat in September following McCain’s death from cancer. The complaint asks the court to order Gov. Ducey to hold an immediate election. As it currently stands, the state will not hold an election for the seat until the 2020 general election. “As a result, plaintiff voters and other citizens of Arizona will be deprived of elected representation in the Senate for over  months, and will suffer irreparable injury from such a lengthy loss of elected representation in the United States Senate,” the lawsuit states. Under Arizona state law, the governor is given the responsibility to appoint a person to fill the vacancy, which can then be held by the appointee until the next general election if it is more than 150 days away from the time of appointment. The plaintiffs argue in their complaint that Ducey had enough time to call for an election for the vacancy. “Since Senator McCain died on August 25, 2018, and since his death occurred within six months of the election just held on November 6, 2018, an election to fill the vacancy has been postponed for two years until the next general election in November 2020,” the complaint states. Additionally, the plaintiffs claim Ducey violated the Equal Protection Clause under the 14th Amendment. Kyl, who served in the Senate from 1995 until his retirement in 2013, has already said he would not run in the 2020 election. He is only the sixth former senator to be appointed back into the Senate. He is also listed as a defendant. The plaintiffs are represented by Michael Kielsky of Udall Shumway in Mesa, Arizona and Thomas Geoghegan of Despres, Schwartz and Geoghegan in Chicago.